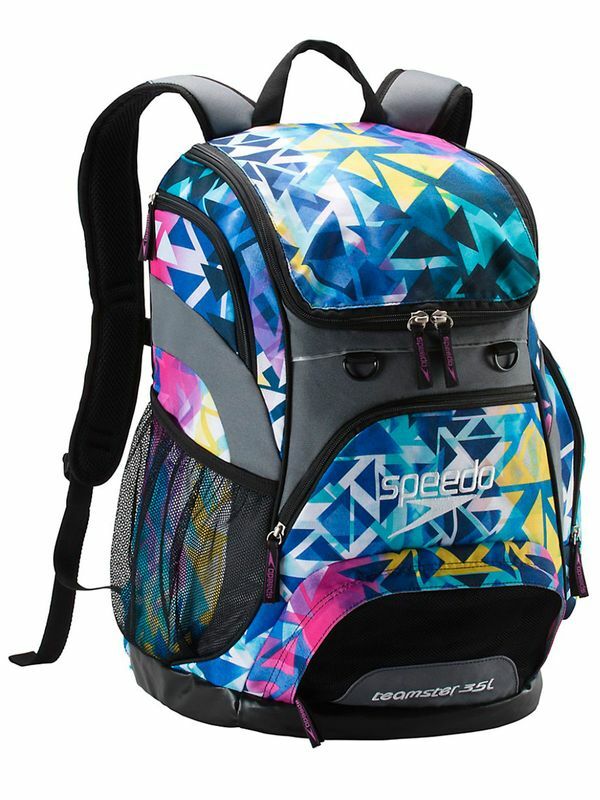 The Speedo Teamster Backpack Diamond is the go-to backpack for swimmers. The Teamster backpack features various pockets with high quality zippers, a handy dirt bag to keep wet and dry items separated and a convenient pull out bleacher seat. Active swimmers will love the water resistant bottom and the laptop sleeve designed to protect high tech gear. Diamond Teamster Rucksack 35L manufactured by Speedo Swimwear the worlds leading swimwear brand. Speedo is passionate about life in and around the water, creating revolutionary new technologies, designs and innovations.